San Francisco Giants – Interesting look back at Bruce Bochy Era – Bochy Over-rated? | Where Did You Go Joe Dimaggio? Home Bruce Bochy San Francisco Giants – Interesting look back at Bruce Bochy Era – Bochy Over-rated? As we go into the 2014 World Series it’s interesting to note that PEDs may have already been affecting baseball’s world series 25 years ago today when the Giants played the A’s in the 1989 ‘Earthquake Series, ‘ as we later learned that Mark McGwire and Jose Conseco of the A’s were hitting at a record clip with the help of Creatine and other PEDs at the time. Who would have thought that 25 years later the Giants are likely, as we see it, still using PEDs perhaps even moreso than what we saw back then. We also have learned in recent reports that new PEDs, even though hardly detectable in testing- if at all (Adderall) – will stay in a player’s system for some length of time-weeks and even months. So, even if players take PEDs during the off-season and not during the regular season, they could have a real affect on one’s performance and the games the following season , even if the player is no longer ingesting the drugs. That’s the one scenario, but, more than likely,some players are using DURING the season and getting added spikes of performance, as needed, ie especially in playoffs and World Series. How Bruce Bochy Become Giants Manager? Bochy Overated? Giant manager Bruce Bochy was San Diego Padre’s and Gwynn’s manager from 1995 to 2001, when Gwynn retired. It was also during those years that Gwynn, then in his late thirties, had three of his five best years, hitting over .350 at an age most players are retired. Ken Camaniti, an admitted steroid user who lost his life at 35 due in part to performance enhancing drugs, had among his best years, certainly his best power numbers with as many as 40 as a Padre when he had never hit as many as 20 before; he received MVP and propelled the Padres to the World Series in 1998. Caminiti took advantage of the emerging drug culture in the San Diego clubhouse, then largely a steroid called creatine that would become popular with Oakland A’s player and San Diego native Mark McGwire. The trend would escalate especially to the San Francisco giants, though the drug s of choice would change. 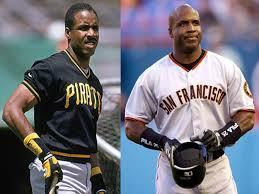 Barry Bonds and at least seven other (later indicted) Giants would favor a testosterone-based steroid known as the ‘clear’ and the ‘creme’ the Mitchell reports). Bochy , as manager, would witness cartoon-like numbers in Camaniti and Gwynn and later Bonds when Bochy came to the Giants in 2007. Bochy likely knew he was coming to a team featuring another cartoon-like character, both in changed appearance and statistics in Bonds, who was having his best seasons and breaking homerun and other records and doing things never done before , again, at an age when most players were either retired or nearing it. (Note: We don’t believe Gwynn used PEDs most of his career but may have became caught up in the team culture with Caminiti and perhaps others in his later years when he could most benefit , much like his friend, Barry Bonds on the Giants. (Gwynn was still hitting over .350 after the age of 37). It’s possible at the time Bochy wasn’t aware of a drug culture while Caminitti was still with San Diego, but he would find out a few years later while still managing San Diego when Camaniti came out with his own book in 2002 about his admitted steroid use in San Diego that would , in part, end up killing him . When the Giants tabbed Bochy to replace Dusty Baker as manager in 2007 he certainly knew , post facto , if not before , what had happened around him during his San Diego days, yet Bochy would accept the managerial position with the Giants knowing of the controversary surrounding Bonds’ astonishing late -career numbers . If anyone should have drawn connections between his own now-deceased ex-player, Camaniti, and Bonds , it was Bochy. No doubt the Giants knew something when they hired him, i.e. as a sympathetic figure who would put up with Bonds – and even let the Giant’s star player control the clubhouse, including what trainers could come in to work with him. The Giants own team trainer, Stan Conte – no relation to Victor-would later leave the team for the hated Dodgers, just to get out of a toxic situation. In a much forgotten or overlooked interview in 2002 , Bonds promised to share his ‘secrets’ with teamates. That he did , we would later find out, with seven Giants indicted for illegal drug use (Mitchell Report). Other players that may NOT have joined Bonds, such as Jeff Kent, would have nothing to do with Bonds. When Bonds propelled the Giants into the World Series in 2002 with his ‘bag of secrets’ , Giants management no doubt would overlook negative Bondsian antics so much they rather lose a popular manager in Dusty Baker than a .370 power hitter (2002) who seemed to keep getting better with age! No doubt Baker had had enough of a dysfunctional clubhouse, and the Giants of him – and Baker was sent packing. Thant’s when, in 2007, Bruce Boche came on the scene. Recently fired as manager of a dysfunctional San Diego Padres team, no doubt with similar problems as the Giants, in Bochy no doubt the Giants figured there was a match. On one hand one would think Boche would run the other way fromthe Giants, but, heck, it was a job – and managerial positions in major league baseball don’t come up often. In Bochy, the Giants management found a tolerant manager who didn’t mind playing second fiddle to Bonds; one who would look the other way when the Bonds’ entourage appeared. trainer and drug guru Greg Anderson in tow. The loss of Bonds proved a mere blip on the radar as the Sabean and the Giants would take what knowledge they had gleaned from Bonds and –without much of a farm system and nary a World Series victory in 50 years – parlay that into a couple of unlikely World Series victories in 2010 and 2012. This time they didn’t rely on one man alone, but a cast of characters… Melky ‘Milk Man’ Cabrera, Jose Guillen, Guillermo Moto and many more… and , with ownership , fans and a Commissioner willing to look the other way, the Giants haven’t stopped since . Despite the problems and expense he may have cost, Bonds may bave been the Giants best deal ever,for those concerned most about the profit movtive. Bruce Bochy seems a very likeable guy and certainly a ‘player’s manager‘ but is he truly one of the premier managers of baseball? He has been given credit especially for his handling of the pitchers and bullpen. But, when one looks at his record he is a .500, (.501 to be exact as of 7/5) manager with as many losses as wins over his 20 year managerial career. Even with the Giants,who have been helped out with both natural and unnatural talent, he is only .514 , with a winning record only the two world series years of 2010 and 2012 plus 2011 of his seven years in San Francisco prior to this one. winning hits than any other player during his half season before getting suspended – again, enough to propel the Giants to thte World Series. Teams not hesitant to take aboard PED players are likely to perpetuate the trend – now having gone on so long it’s hardly a trend anymore. and Pablo Sandoval each hitting 8 homeruns in their respective years of 2010 and 2012 – more than they’d hit the entire year. Sandoval hit three home runs in one playoff game against Detroit after only hitting three homeruns the entire year. “It helps late in the season,” says Rangers designated hitter Mickey Tettleton, in Pete Williams’s 1997 USA TODAY story titled “Lifting the game: Creatine is baseball’s new gunpowder” (thanks to FanGraphs recent reprint http://www.fangraphs.com/blogs/ken-caminitis-goody-bag/) he does not bother with nutrition supplements. up with them as we note in a coming article. Way back in 1997, Sabean in his second year as GM with the Giants already was virtually sanctioning the use of PEDs, believing that players were going to use anything that would give them that edge. Ever since then we’ve seen Sabean and the Giants resort to the ‘if you can’t beat them join them’ philosophy and has accepted that so-called inevitability of steroid use by signing many a known and suspected player. Again, that was back in 1997. Nowhere has Sabean said the team would not bring in players with a PED history and he’s been doing it ever since. San Fran Giants – Interesting look back at Bruce Bochy Era – Bochy Over-rated?